A page on TigerLocal will showcase your business to hundreds of local people looking for a furniture shop. So you'll get serious enquiries from new customers. From a single-room miner's cottage in Gunnerside, Swaledale to the largest and most lavish furniture store in the country at Regent Street, Leeds, Christopher Pratts has come a long way in over 160 years. 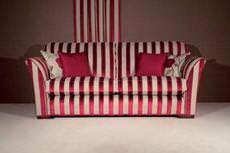 Distinctive Leather Chesterfields specialise in producing high quality leather chesterfield style furniture. Handmade in our UK based workshop and delivered worldwide. We have an extensive range of high quality contemporary furniture. From wardrobes to flue-less fires, sideboards, sofa beds and dining tables to garden furniture and children's bedroom furniture. Heritage chairs and sofas is an independently owned and run business in the heart of Pettswood near to Bromley and Orpington in Kent. We also have a vast collection of fabrics "Blendworth" and "The Linwood Fabric Company". 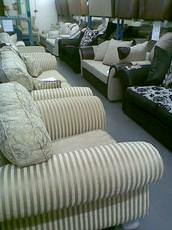 What are the advantages of shopping at a furniture shop over shopping at a larger discount store? 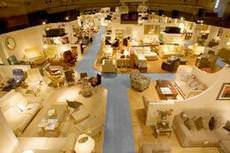 Many shoppers in the UK are concerned about price when furnishing their homes. After all, furniture is a big investment and purchasing a living room set, dining room set, bookshelves, china cabinet, and a few other large pieces can costs quite a lot of money. Larger discount stores often advertise prices that are lower than those you find at furniture shops, and for this reason it may be tempting to make all your furniture purchases at large discount stores. However, since you no doubt want to enjoy your furniture purchases for years to come, it makes sense to choose high-quality furniture that will last for years and suits your home perfectly. Furniture shops have this advantage over larger discount stores. Because furniture shops sell only furniture, their managers and staff will often have greater and more in-depth knowledge of good furniture design and interior design trends than will staff at large discount stores. They will be able to use their knowledge to recommend furniture thatâ€™s right for your home. Can I shop for furniture online? There are many online furniture shops nowadays, and itâ€™s possible to furnish your entire flat or home without actually visiting a bricks-and-mortar furniture store. For some shoppers, this can be a convenient and cost-effective way to furnish a home. However, keep in mind that furniture is a major purchase and many items are bulky and difficult to return once theyâ€™ve been delivered to your home. The major problem that many online shoppers experience when they purchase furniture online is colours that look one way on a computer monitor and another in real life. Colour is crucial to creating a stylish interior for your home, and each computer monitor displays colour slightly differently. Also, it goes without saying that you canâ€™t get a sense of the texture and workmanship of a piece of furniture without seeing and touching it in person. For these reasons, the majority of furniture shoppers prefer to visit actual bricks-and-mortar furniture shops. Will most furniture shops offer me a discount if I purchase all my furniture from them? Most furniture shops are happy to be flexible on the cost of big-ticket items like sofas, dining furniture, or entire furniture sets. Sometimes a furniture salesperson may offer a discount to you right away, and in other cases you may have to politely ask about the possibility. Donâ€™t focus too much on negotiating a discount on the price of your furnitureâ€”it can often work out better for you to negotiate for extra features or services. Perhaps a shop could throw in free delivery and assembly, or perhaps they could offer you a free consultation with an interior designer. There are a number of bonus services that furniture shops may offer you if you purchase significant amounts of furniture from them, so donâ€™t hesitate to enquire. What else do furniture shops sell besides furniture? In addition to sofas, chairs, tables, beds, and other furniture items, many furniture stores sell lighting, wall art, bathroom fixtures, tableware, and other home accessories. What kind of training or experience would most furniture shop staff have? Furniture staff members become specialists in a number of ways. 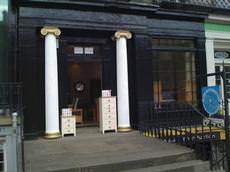 Some furniture shops may be family businesses, where children in those families who have absorbed information about furniture design and construction and interior decorating since childhood eventually join the business as shop sales staff. Other furniture shops may hire graduates of interior or industrial design colleges. And yet other furniture shops may have staff members who were formerly furniture craftsmen. Furniture salespeople come from a variety of backgrounds, but you can always expect shop staff to have wide knowledge of furniture design and interior design concepts. 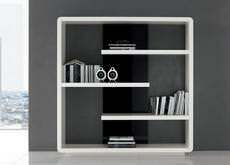 Will a furniture shop deliver and assemble furniture for me? 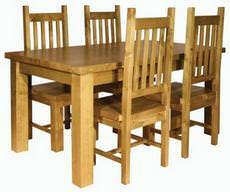 This depends on each individual shop, but generally furniture shops will offer delivery and assembly service. This may be included in the cost of your furniture, or it may be offered for an additional fee. 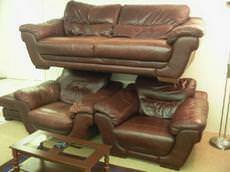 Will a furniture shop take away my old furniture when they deliver my new furniture purchases? Sometimes. 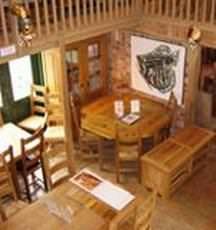 Many furniture shops will cart away your old furniture when they delivery the replacements youâ€™ve purchased from them. If they do not offer this service, they will likely be able to direct you to a furniture removal service that will take your old furniture away for you.